This chapter examines verbal and non-verbal intercultural communication challenges faced by Australian students studying abroad in China. Using intercultural communication theories, the author analyses potential cultural shock and intercultural differences to help Australian students be aware of academic and social survival skills in their destination country. While there are many publications about international students' intercultural communication issues and intercultural adaptation difficulties within English-speaking countries, there are comparatively few works on Australian students' intercultural communication competence needed for living in China. This chapter looks at pedagogical implications of intercultural communication training for Australian students prior to their overseas studies and outbound mobility experience. Inspired by Australia in the Asian Century (2012) issued by the then Australian Labor Government and the New Colombo Plan (2013) issued by the Australian Coalition Government, an increasing number of Australian students are undertaking undergraduate university courses overseas to learn a Language Other than English (LOTE) in Asian countries. They can study an equivalent course with credits at an overseas partner institution through ‘home’ university global mobility programs and experience cultural immersion as exchange students. Their major destination countries include key Asian economies like China, Japan, and Korea. These countries are more characteristic of ‘collectivism’ whereas Australia is more typical of ‘individualism’ (Hofstede, 1980, 2001). Individualism values personal expression, autonomy, independence, and self-reliance (Callero, 2009) whereas collectivism prioritises group conformity, harmony, interdependence, and team cohesion. This important cultural dimension summarises a number of attributes that make these Asian countries different from Australia. As will be discussed throughout this chapter, these attributes are reflected in many examples that can be observed and experienced in everyday interactions. 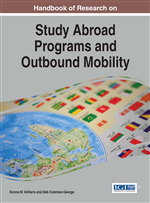 It is beneficial for Australian students who intend to join study abroad programs and outbound mobility to Asian cultural destinations to inform themselves of cultural differences. The key reason is that the cultural differences are hidden so that they remain challenging to international students studying in their destination country. Consider Chinese students studying in English-speaking universities, for example, even though investing heavily in learning English (English is a compulsory unit at some Chinese primary schools, at all high schools and universities) in China (Arkoudis & Davison, 2008). Chinese international students studying in British universities work hard to overcome personal, pedagogical and psychological factors, and sociolinguistic shock in their intercultural adaptation (Gu & Maley, 2008; Marr, 2005; Spencer-Oatey & Xiong, 2006). Although they have made much progress and entered English-speaking universities with IELTS (International English Language Testing System) entry-level scores, Chinese international students studying in Australian and New Zealand universities find that they still need to improve their language proficiency and intercultural communication skills, and manage intercultural differences (Briguglio & Smith, 2012; Holmes, 2004, 2006; Malczewska-Webb, 2014). But foreign language learning is not compulsory at Australian high schools or universities. It has long been recognised that language is interlocking with culture (Helm, 2009; Sharifian, 2015). To survive their stay in their destination country, Australian students need to know something about other languages and understand their cultures, particularly the variances. When Australian students are well-informed about the ‘hidden luggage’ or intercultural differences by completing intercultural communication training and associated learning activities prior to their departure, they will find it less difficult to overcome personal, pedagogical and psychological factors in their intercultural adaptation. Instead, while living in their designation they are likely to find themselves able to manage cultural shock and intercultural differences successfully about why people say and do things in certain ways. The main objective of this chapter is to shed light on the hidden dimensions of intercultural verbal/non-verbal communication by analysing major perceived differences between Chinese and Australian cultures and keep outbound Australian students aware of and reflective on them so that they are verbally and non-verbally prepared prior to undertaking a study tour or a research project in China. Stereotype: The application of information—both positive and negative—that one believes about a country or culture group to every individual in that country or culture. Stereotypes are often used in a negative or prejudicial sense and are frequently used to justify discriminatory behaviours. Stereotypes are seen by many as undesirable beliefs that can be altered through education and/or familiarisation. Culture-Specific: The distinctive qualities of a particular culture. Often used to refer to an approach in intercultural training that attempts to impart extensive information and knowledge of perceptions and behaviours that are unique to specific cultures. Training provided during on-site orientation tends to be culture-specific. Ritual: A formalised, predetermined set of symbolic actions generally performed in a particular environment at a regular, recurring interval. Rituals can have a basic sociological function in expressing, inculcating, and reinforcing the shared values and beliefs of a society. Generalisation (and Generalising): The categorisation of the predominant tendencies in a cultural group. Generalising recognises that there may be a tendency for the majority of people to hold certain values and beliefs and engage in certain patterns of behaviour. Failure to recognise that not every person in the group will conform to the generalisation leads to stereotyping. Values: The positive and negative judgments that people assign to ways of being in the world. Each individual has a core of underlying values that contribute to that individual’s system of beliefs, ideas and/or opinions. A value system is in essence the ordering and prioritisation of ideals that an individual or society recognises as important. Custom: A common practice among a group of people who have a shared heritage, such as a common country, culture, or religion. Culture: The set of distinctive spiritual, material, intellectual, and emotional features of a society or a social group. Culture encompasses art and literature, lifestyles, ways of living together, value systems, traditions, behaviours, and beliefs. Norm (or Social Norm): Ways of behaving to which the majority of participants in a society adhere. They are socially monitored and are often unwritten and unstated. Norms are most evident when they are not followed and the individual or group is sanctioned in some way for this deviation. This often occurs when an individual finds him or herself in a foreign country, dealing with a new culture where the norms are different.